Corporate giving is a great way for your organization to give back to the community! Please connect with us to find the best way to involve your organization with the St. Paul's Foundation team. 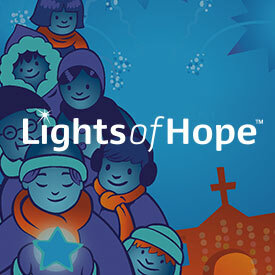 At the darkest time of year, Lights of Hope illuminates Vancouver’s Burrard Street corridor and transforms the façade of St. Paul’s Hospital into a beacon of light and joy. But this spectacular showcase is more than just a beloved holiday tradition: it’s one of St. Paul’s Foundation’s most visible—and most important—fundraising campaigns. When you support Lights of Hope, you give us the funds-and the flexibility-to meet the greatest needs of patients and staff throughout the Providence Health Care network. Feast of Fortune is St. Paul’s Foundation’s signature fundraising gala. Each year, in advance of Chinese New Year, this spectacular event entertains a sold-out crowd in support of compassionate, inspired care. You can support Feast of Fortune by becoming a sponsor, buying a table, donating an auction item, or simply making a donation. The Geriatric Services Conference is a one-day event that brings together more than 350 health care professionals and hundreds of attendees. It’s an opportunity for allied health professionals from multiple disciplines to explore the latest research and strategies that take seniors’ care above and beyond the status quo. Thank you for your interest in developing a cause related marketing program in partnership with St. Paul’s Foundation. Through the donation of proceeds from a product or service to St. Paul’s Foundation you demonstrate your commitment to our community. Initiatives that fall within cause related marketing relate to businesses or individuals who sell a product or service, donate a portion of proceeds from the sale and wish to use St. Paul’s Foundation’s "in support of logo" or name for promotion and awareness of the product or service. To be considered, please complete and submit the below cause related marketing request form. All proposals will be carefully reviewed to ensure cause marketing goals are in alignment with those of the Foundation. 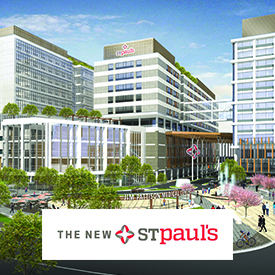 Will you provide a full accounting of dollars raised in support of St. Paul's Foundation? Will you provide a copy of your Business Plan to St. Paul's Foundation if requested? Please indicate to the best of your ability the number of times St. Paul's Foundation 'In support of logo' or name will be mentioned? Which mediums or channels will you be using to promote your cause (for example, online, social, TV, print, radio)? As per Canada Revenue Agency regulations, St. Paul’s Foundation cannot issue tax receipts for contributions from this type of fundraising initative as it it deemed the funds have been generated from a dual-benefitting relationship. We can only issue acknowledgement receipts for these funds. St. Paul’s Foundation requires creative review and will provide written approval for any use of the St. Paul’s Foundation in support of logo or name on marketing materials. Donating shares or mutual funds is a tax-effective way to give. Click here to learn more. Workplace giving is an easy way for employees to make tax-deductible donations. It’s also a great opportunity to bring philanthropy into your corporate culture. We can help you set up a payroll deduction plan to facilitate your employees’ gifts to St. Paul’s Foundation. Your company can also match employee donations to encourage participation and double your organziation’s generosity. Do you work for Providence Healthcare? You can make a difference by making a donation to St. Paul’s Foundation. Help address greatest needs at St. Paul’s or designate funds within your program or group. You can make a regular monthly gift to St. Paul’s Foundation directly off your payroll. Automated donations give you an easy, powerful way to help every day of the year. Click here to make a monthly donation. Looking to host an event that will donate proceeds to St. Paul’s? Click here to learn more.